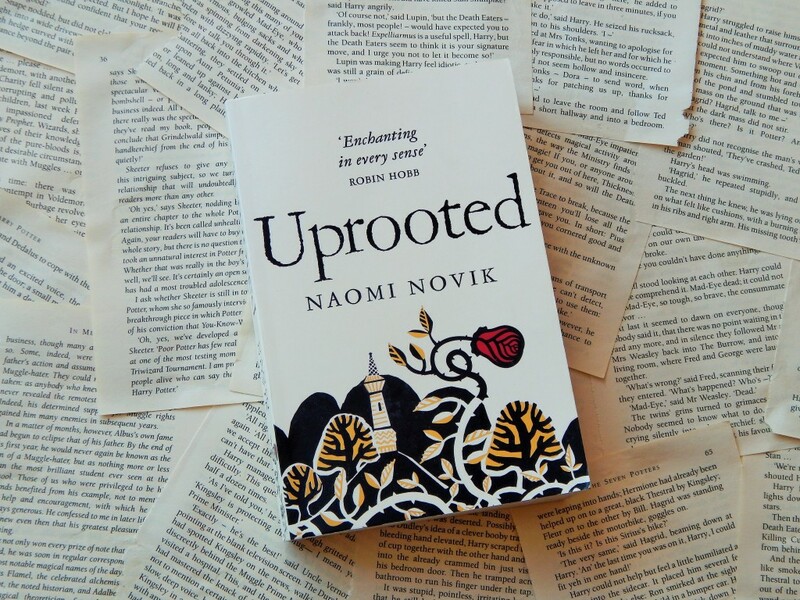 Uprooted has been on my radar for quite a while. Since university, in fact. As you can tell, it has taken me an embarrassingly long time to get around to reading this. I only feel worse about that when I tell you that this book was amazing. This is the story of Agnieszka, a young woman who is chosen to serve the Dragon, an ageless wizard who protects the valley from the dark and dangerous magic that lurks in the forest. There, she discovers that her home hovers on the edge of a secret that might consume them all and that the kingdom might need her help to survive. I devoured the entirety of this book on the coach between London and Darlington. It was utterly enchanting. I was immediately swept up in the dark and thrilling adventure that Agnieszka is swept up in. She is a fascinating character and one that is infinitely likeable. It is a big story for one character to carry but she is so brilliantly constructed that she does so effortlessly. This is not the only area in which Naomi Novik excels. There is a distinctive flavour of folklore and fairytale woven into this fantasy. It is seamless. It creates the magic which travels from the pages of Uprooted into the heart of the reader. Novik not only proves that she is good at writing about wizards but that she too has magic in her fingertips and is able to weave a wonderful spell with every word she writes. I have a feeling I have a new must-read author. It was on my TBR for the longest time before I read it too, but I utterly adored it.